I was going to start this post with an owl pun, but after the pirate post last week, I figure you’ve probably had enough of that for the moment. 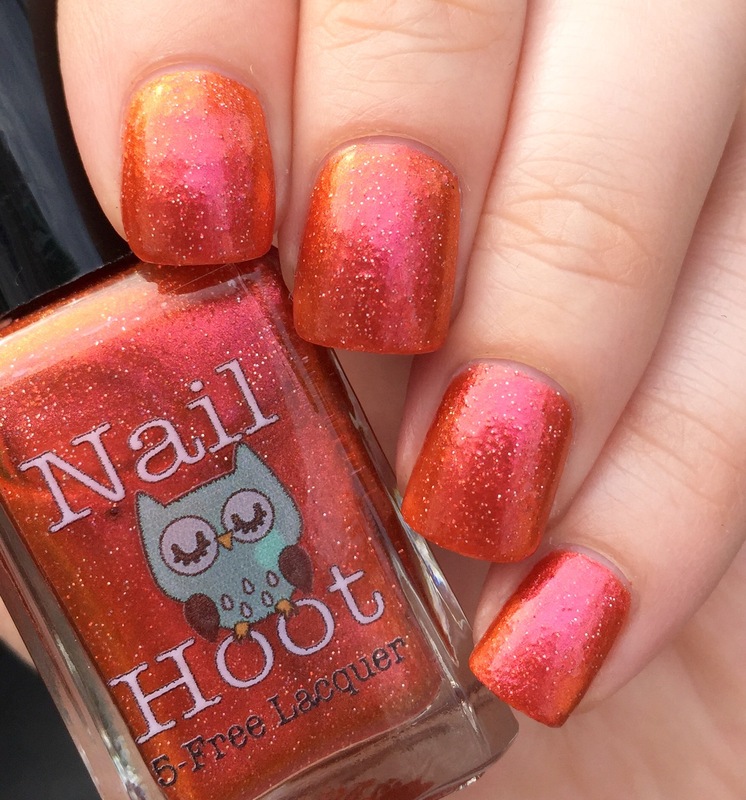 Today I’ve got Nail Hoot “Leviticus,” a pink-orange duochrome with holographic glitter. 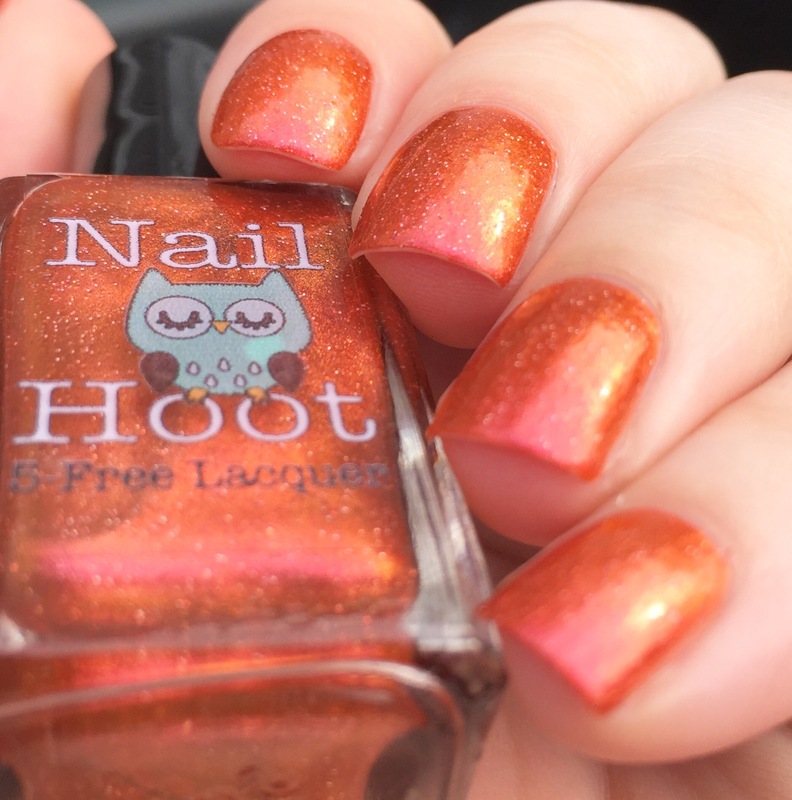 This polish is from Nail Hoot’s first collection, which has an “in the beginning…” theme (hence the name). This is three thin coats, without any base color. I thought the thickness and opacity were really good on this polish. Even with the glitter, removal was pretty easy (three cotton rounds for me, no undue scrubbing to get the glitter off). In the close-up, you can really see the effect of the small glitters. They add a little bit of texture and depth to the polish (and hide those inescapable metallic brush strokes). 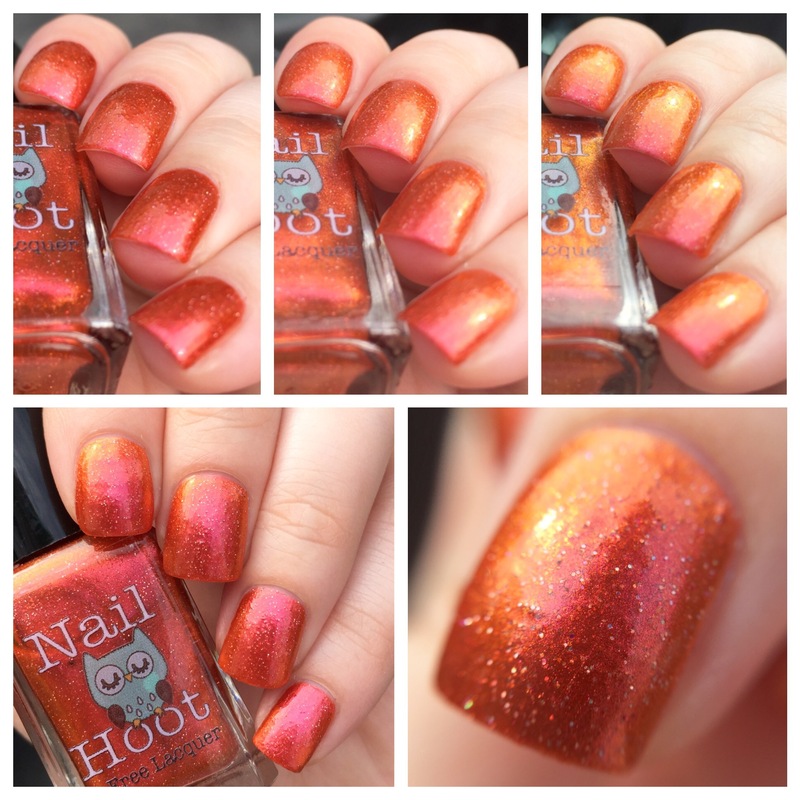 You can purchase Leviticus for $6.50 on Nail Hoot’s Etsy page. When I got this last week, shipping was super fast- I had this in my hands only a few days after ordering. I’ve had my eye on this brand. I may need to check it out. It IS like a sunset in a bottle. There’s even a second collection out for pre-order now. it looks like a sunset! I love the shift in this polish. It’s beautiful! I thought it was going to be gritty, but it’s stunningly smooth. Great swatch! Wow, it really does look like a sunset in a bottle! Very pretty colour! 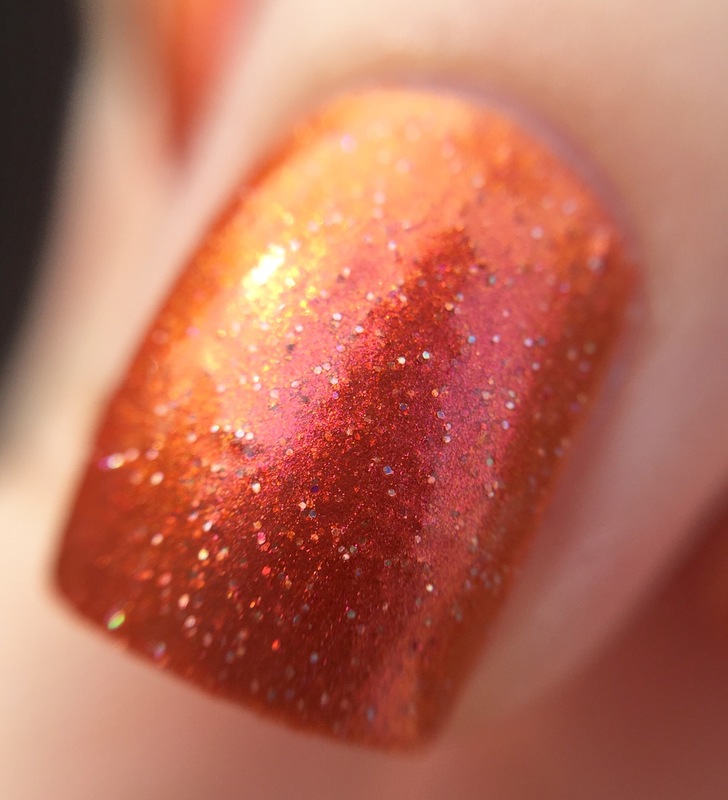 This is gorgeous and your swatches of it are fantastic! Really shows off all the different shifts. Thanks! It was so fun to take pictures of all the shifts! I love polishes with subtle shifts like this in the sunlight. Such gorgeous swatch photos. very pretty. i feel like it would be great for fall.